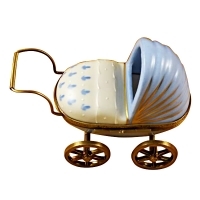 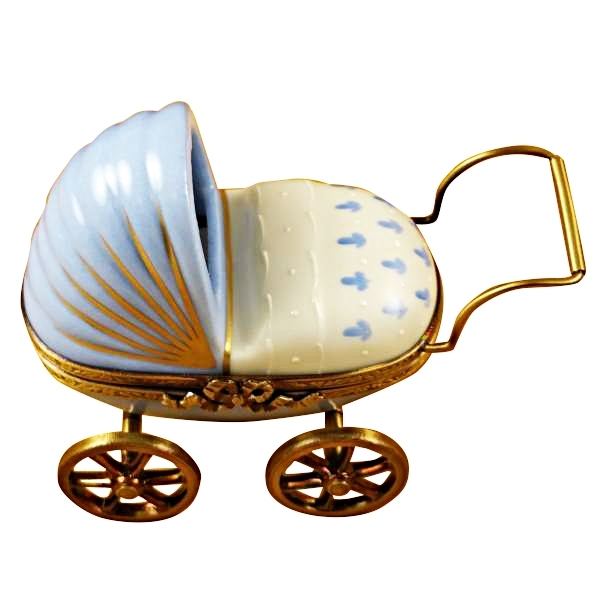 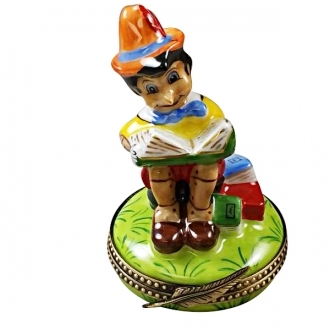 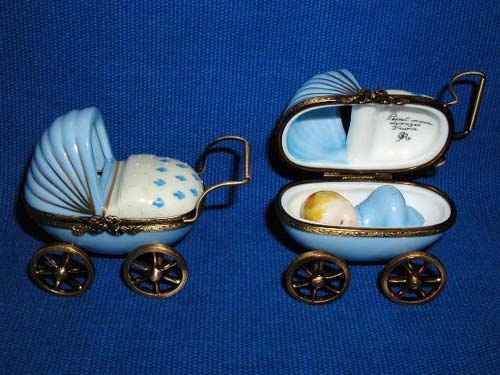 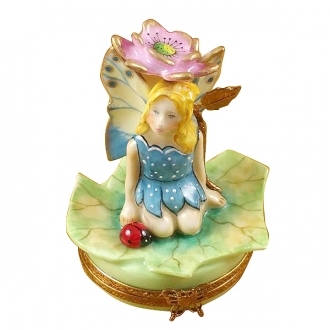 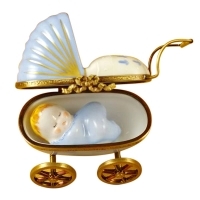 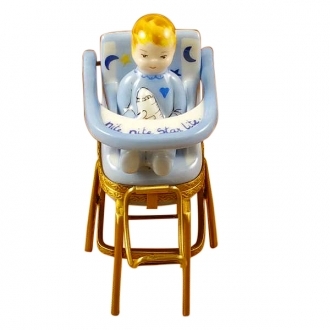 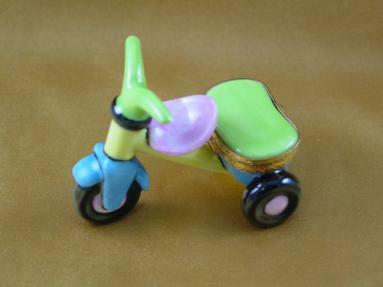 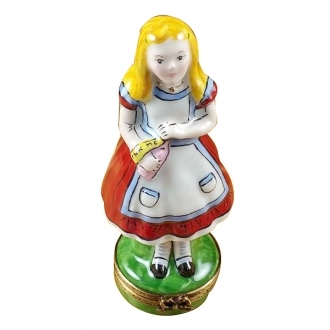 BLUE BABY CARRIAGE - Limoges Boxes and Figurines - Limoges Factory Co. 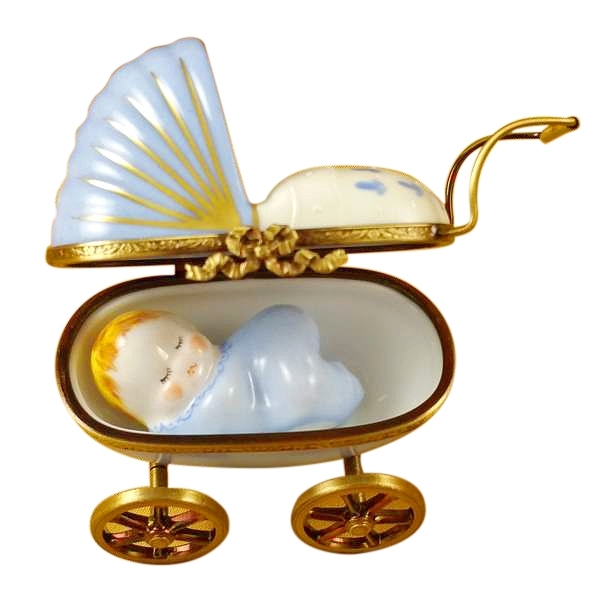 The Limoges box that has the shape of a baby’s pram is an exquisite Limoges production that will look extremely decorative in a nursery. The blue hood and the blue flowered baby bed in the pram look very charming. 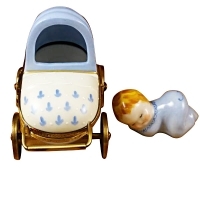 The sleeping baby figure inside the box takes you by surprise. 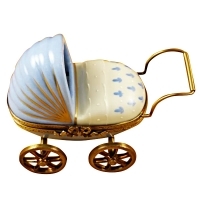 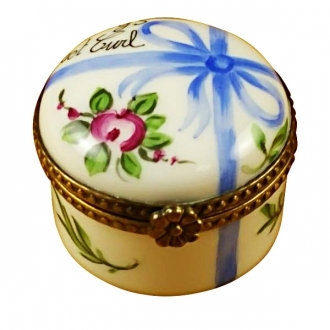 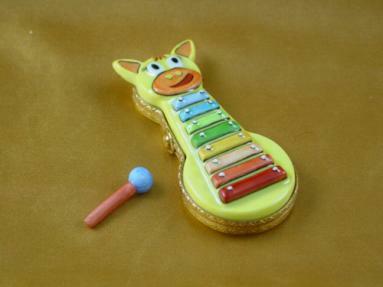 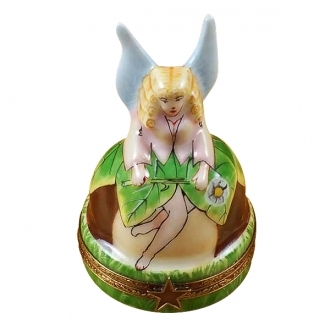 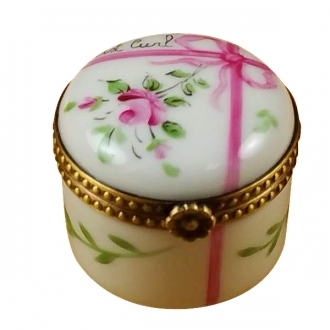 The Limoges box opens below the handle of the pram. 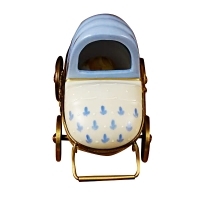 The golden rims and the golden handle of the pram make the box even more decorative.